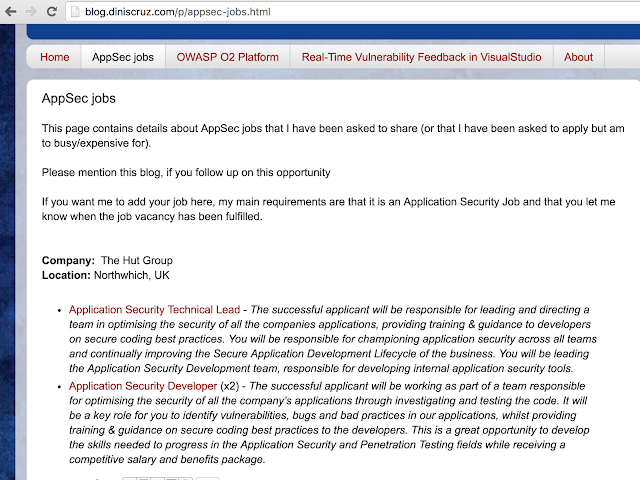 The AppSec market is definitely getting hotter, and I'm getting more and more calls from recruiters. I've decided to try to connect these two worlds and see if we can get more AppSec roles filled up (specially by devs who want to move into AppSec). I'm starting with job opportunities, but it would be interesting to also list professionals looking for a job.